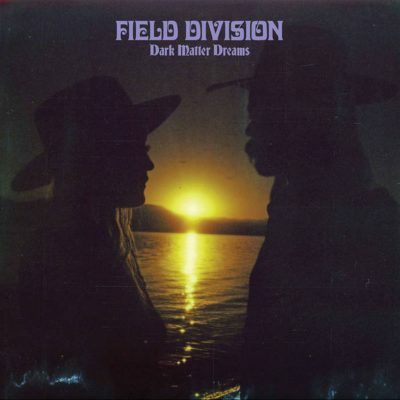 Des Moines, Iowa, duo Field Division has followed up their splendid 2014 EP, Reverie State, with an equally moving full-length album, Dark Matter Dreams. The latter contains a lot of the dreamy, not-quite-folk, somewhat psychedelic beauty from the EP, but also moves forward to widen the band’s already expansive landscape and deep-reaching influences. From the onset and at various points throughout, with tracks like “River In Reverse” and “Innisfree (Let’s Be The Peace Now),” there is a sense of the 1970s at the roots, driven by superb guitar play from Nicholas Frampton and the sultry ruminations of Evelyn Taylor. It’s all very Buckingham/Nicks-esque, though the poppiness on some Fleetwood Mac songs can be a bit campier than anything Field Division bring. Taylor and Frampton exchange vocal responsibilities, too, both taking turns singing alone, exhibiting different perspectives and emotional positions, as well as teaming up for stunning harmonies on light tracks with almost nothing else verbally. One of my favorite songs on the album, “Big Sur, Golden Hour,” is one where they both chime in together. It’s somewhat of a siren song, instead of either one belting it out. It works so well and allows the listener to be fully encompassed by all of the new layers Field Division have discovered, like the strings and precisely plucked, singular guitar chords. Dark Matter Dreams was written on the road, during which Taylor and Frampton peered into their lives and the ever-changing environments they were facing, both internal and external. The result is an honest look at who they are, who we are and where we all could go together and as individuals while we work through the turmoil. The album is full of life, acknowledging and addressing the past and the present while still remaining focused on what is just around the bend, probably a lot like writing an album on the road would be. I feel the truest song to that motif, and the most gripping on the album, to be “Farthest Moon.” It is truly something to behold. Again, there are mesmerizing harmonies, backed by rich tiers of sound that—at the end, when they all come together—permeate the space with something that feels hopeful, powerful; a simple solution for a complicated problem. And then there is “Siddhartha,” an instrumental that brings almost as much of the total package as “Farthest Moon” does. It is catching and stirringly beautiful—a complex piece of music, though it may be the sparsest on the entire project.